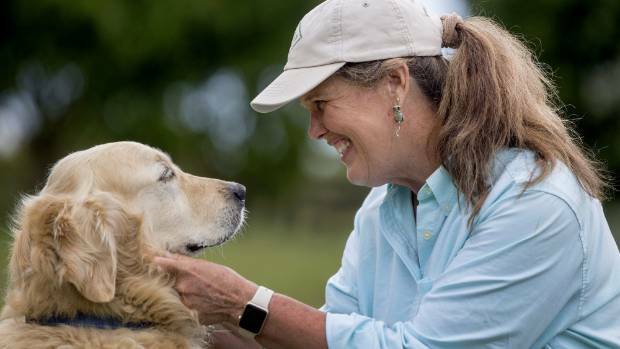 “There’s basically no animal that I wouldn’t look after,” she said. Marshall talks to Hudson, the dog she looks after when his owners go away. She does need to make sure that it’s safe for her and the animals, particularly with dogs, and always meets the animals beforehand. 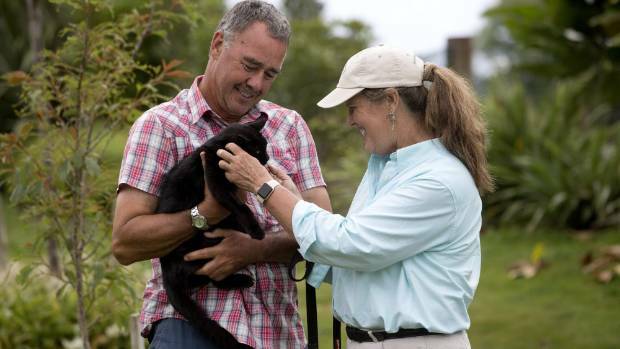 Holli Marshall talks to owner Richard Dyson and Osborne the three-legged cat. 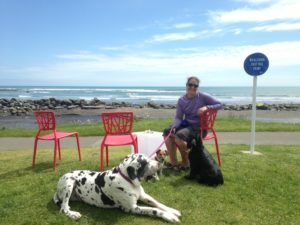 The business is based in Oakura but also services New Plymouth, Ōkato and Inglewood. 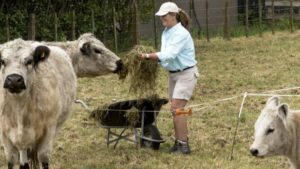 They cover feeding, walking and even changing paddocks, usually going out to people’s homes for between ten minutes and three hours. The jobs are varied, depending on the owners’ wishes – sometimes just checking on a cat once every three days. Hudson the dog goes for a walk with Marshall. “There’s one family that has six cats and I’ll go three times a day. 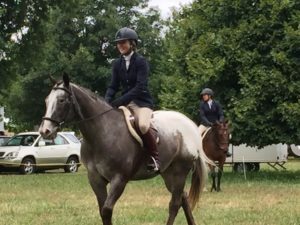 She can also go in and do a job while the owner is at work during the day – walking the dog, holding the horse for the farrier or taking pets on vet visits. 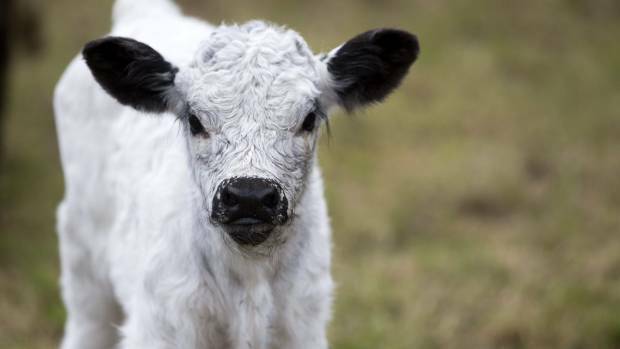 One of Richard Dyson’s white galloway calves is looking for his food. She also collects mail, waters gardens, puts out rubbish and has recently expanded to house sitting, as well as teaching horse riding. 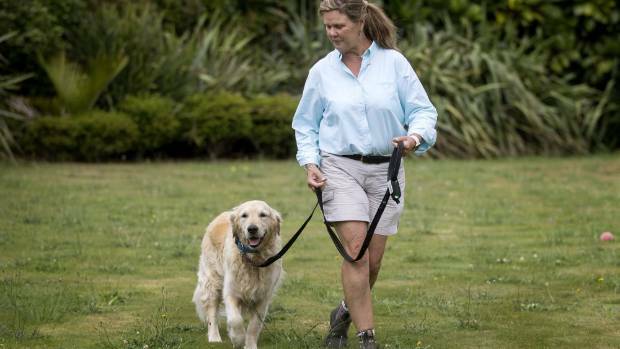 Marshall uses a software system that allows her to organise her jobs and to contact the pet owners if necessary. Already, she has 10 jobs booked for Christmas Day, starting at 7am. Pet owners need to book ahead for holiday times, when she was always busy, but at the moment she “could be busier”, she said. Pet Sitting Plus covers everything from llamas to guinea pigs. 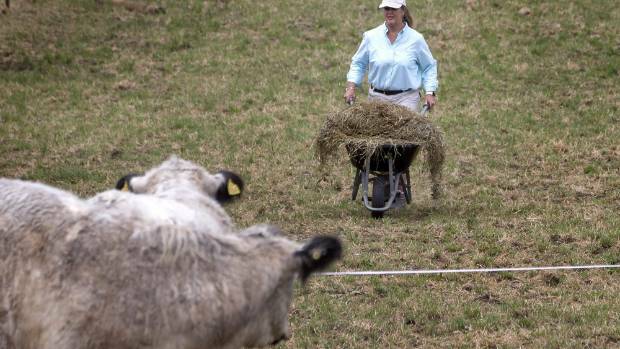 Owner Richard Dyson, whose dog, cat and white galloway cattle Marshall regularly looks after, said trustworthiness and honesty were important. “We know we have that trust and honesty and we have no problems with her whatsoever having the keys to our house,” he said.